Many are saying of late that email is dead. In my humble opinion I’d say GOOD email strategies are dead. 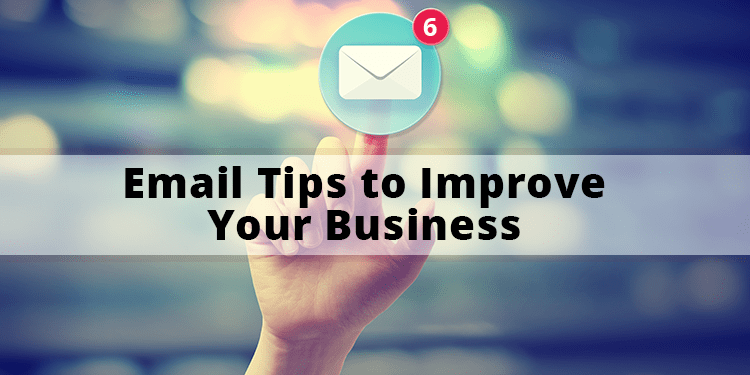 In this post I’ll share some email tips to improve your email usage for your business. The first tip “Confusing Email Subject Lines” I wrote about in a previous blog post. Don’t try to be to cleaver just get the point across and make it intriguing enough to get them to open. Another tip to remember is in this mobile age less people are reading email on a desktop computer. Make sure the email you are sending is mobile friendly. Most of the email services have a preview mode so you can see what it looks like before you send. If you are unsure send your self a test email and check from your mobile device. The next tip I wrote a blog post about as well titled “How To Get More Emails Opened“. It explains that the first 15-20 words of your email is the most important as many email clients use this text to display in the preview pane of the email client. Also think about people that get email notifications on their phones this 15-20 words will make a difference if they read it now or later, or ever. 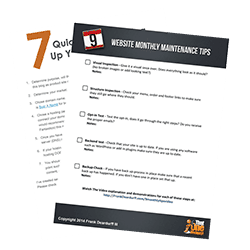 You should email frequently to your email lists so they remember who you are. It’s like building a relationship, if you don’t call they will think you’re not interested any longer. Be consistent with the from field as well. I try to make it a habit to send my emails from “Frank – That One Web Guy” this way they know it is me and not some other Frank. Yet another tip would be don’t waste their time, make it relevant and get to the point. I get on average over 300 emails a day 99% of which I delete. If the title doesn’t mean anything to me I don’t open. If they first couple of sentences tell me what I’m about to read, I deleted it. If they want me to take action on something and I have to hunt for what I’m supposed to do, chances are I’m not going to do it. 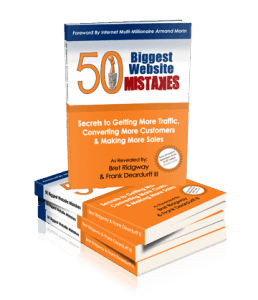 You can see just by using the six tips above you can make a big difference in connecting with your clients and prospects via email. Stay tuned, in the near future I’ll add some more email tips to better help you.